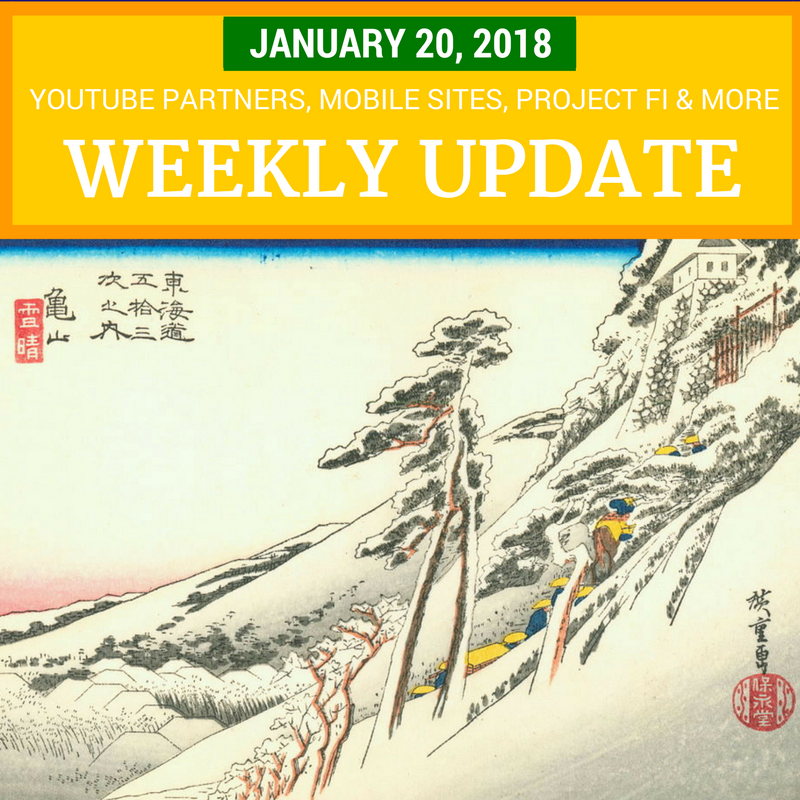 The big story for creators this week was major changes to the eligibility requirements for the YouTube Partner Program. Instead of 10,000 lifetime views, your channel must now have at least 1,000 subscribers and 4,000 hours of watchtime. Channels that are currently in the YouTube Partner Program will be removed if they don’t meet those requirements by February 20th. But even if your channel is no longer eligible for monetization you will not lose any Creator features that your channel has right now - custom thumbnails, scheduled uploads, live streaming, external links will not be removed if your channel isn’t eligible to show ads. Still have questions? Head over to the YouTube Help Forum where there is an official FAQ being regularly updated with the answers to new questions. As a friendly reminder: Sub4sub violates YouTube policy. If you want to increase the number of subscribers on your channel, it’s especially not a good idea to spam a link to your channel and ask for a subscription exchange on my post explaining that is explicitly not allowed. On the other side of the monetization equation, YouTube has promised “simpler and more transparent controls” for advertisers to control where their ads run. Advertisers were also told that channels and videos in the “Google Preferred” program - featuring the “top 5%” of YouTube content - will now be manually reviewed to ensure they are “advertiser friendly”. This follows last week’s high profile removal of controversial YouTube star Logan Paul from the program. Google My Business offers simple one-page websites for business owners. Those sites got a nice update this week - they now integrate Google Posts and have an improved photo gallery. If you are a webmaster, check to see how fast your website loads on mobile devices. Why? Because Google is now using page load speed as a ranking factor in mobile searches. Currently it only affects the slowest loading pages - make sure your site isn’t among them. Project Fi - Google’s mobile phone service - was just updated to offer a much better deal for users who use a lot of data. With the new “Bill Protection” you only pay for a maximum of $60 for high speed data, up to 15GB. If you reach that limit,, you will get slower data speeds, with the option to pay an additional $10/ GB for high speed data. You can continue to only pay for the data you actually use, with the assurance that you won’t be hit with a huge bill if you use vastly more one month. If you are in the US, and you followed, retweeted, or liked a Tweet posted by one of the 50,000 of Russian propaganda Twitter accounts, Twitter is going to let you know. Facebook is going to start prioritizing news sources that the "community rates as trustworthy". This is the same "community" that happily reshares posts from truly fake news sites, so it's not clear how that's going to go. It's not clear if Facebook cares whether the news is from actually trustworthy sources, or whether they just want to shift responsibility to users. At the least I'm hoping Facebook is monitoring feedback. Plus there tips and updates for businesses, publishers, travelers, art lovers and more.